Ingredients: Noodles: Wheat Flour, Salt, Water. 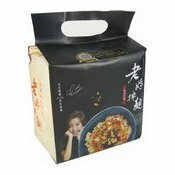 Chilli Oil Pack (7%): Chilli Oil, Sesame Oil, Sichuan Pepper Oil. 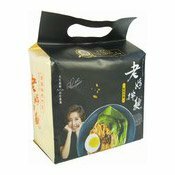 Soy Sauce Pack: Water, Black Soy Bean, Salt, Sugar, colour (E150a), Flavour Enhancer (E621, E631, E627), Acidity Regulator (E330), Sweetener (E955, E950), Preservative (E211). 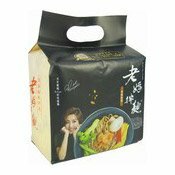 Vinegar Pack (7%): Water, Glutinous Rice, Wheat Bran, White Sugar, Salt. 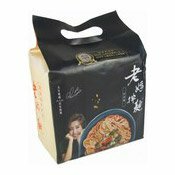 Simply enter your details below and we will send you an e-mail when “Mom's Dry Noodles Multipack (Sour & Spicy) (老媽拌麵 (酸辣麵))” is back in stock!